Join our Occupational Therapy internship in the Philippines and help provide specialised treatment to people with disabilities. You’ll spend your time assessing and treating a wide range of conditions, and help patients to improve their motor skills. It’s a chance to apply what you’ve learnt in your studies, and develop your skills further. 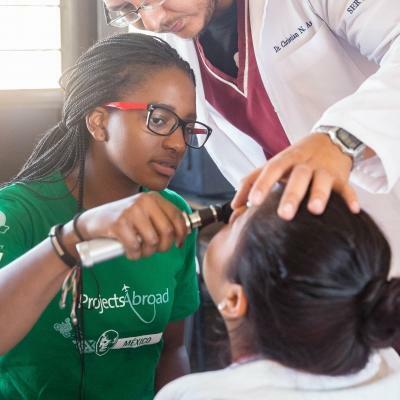 You’ll learn from experienced professionals, and gain insight into therapy practice in a developing country. You’ll work at the only rehabilitation centre of its kind in San Remigio. This centre was founded by a Projects Abroad former intern, and is now run by Projects Abroad. It provides free treatment to people who otherwise wouldn’t be able to access the care they need. You’ll also conduct home visits and develop treatment plans that can be applied in a community setting. During your time abroad, you’ll stay with a friendly host family. You’ll have plenty of opportunity to explore all that this beautiful country has to offer in your free time. You should have completed at least six-months of occupational therapy related studies or training. Is an Occupational Therapy internship in the Philippines right for me? Are you studying to become an occupational therapist? Or perhaps you’re a recent graduate looking for work experience in this field? If so, then this is the ideal internship for you. It’s an excellent way to put some of your training into use while learning from skilled local professionals. International work experience will be an asset on your CV, and make your job or university applications stand out. In order to join this internship, you need to be at least 18 years old. You also need at least six months to one year’s worth of occupational therapy-related studies or training. The internship is available year-round, from a minimum of one week. Our start and end dates are also flexible, so you can choose a time which suits you. 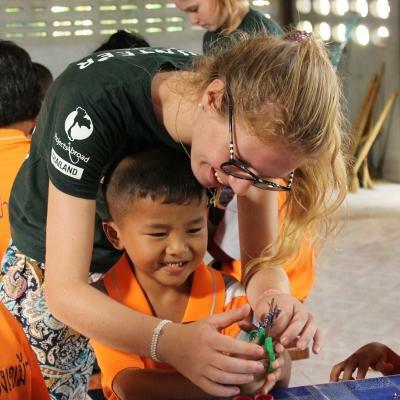 We encourage you to stay for longer, however, so that you can make a greater impact during your time abroad. Your main role on this internship is to assess and treat patients who need occupational therapy. The goal is to improve their motor skills so that they are able to conduct their daily activities and gain more independence. You’ll use various treatment methods, such as hydrotherapy in the ocean, to achieve this. The patients you encounter will have a range of different conditions, from stroke victims to children with cerebral palsy. Most of your work will be based at a local rehabilitation centre. However, you will also be able to conduct house-to-house visits, or treat patients at local community centres. You’ll need to keep up-to-date case notes, so that future interns and physiotherapists have a record of what has been done. Depending on the length of your stay, you’ll also be to test your knowledge by presenting a case study of your choice during the final week of your internship. This case study can cover some of your experiences on the internship, or focus on an occupational therapy-related topic of your choice. This allows you to evaluate your work and compile your observations into a report. Your case study is also useful as it helps us to update our patient data in our Global Impact Database, which tracks the progress of patients. An important part of this project is teaching people exercises that they can do at home to work on their physical skills. You’ll show patients and their families or caregivers different techniques that can be used, and recreational activities that will be beneficial to their recovery. You might have to be quite innovative, as the therapy resources you are used to using may not be available. One of the aims of our internships is to encourage the cross-cultural exchange of knowledge. You will be able to share knowledge about different treatment practices with the local staff, and learn from them in turn. 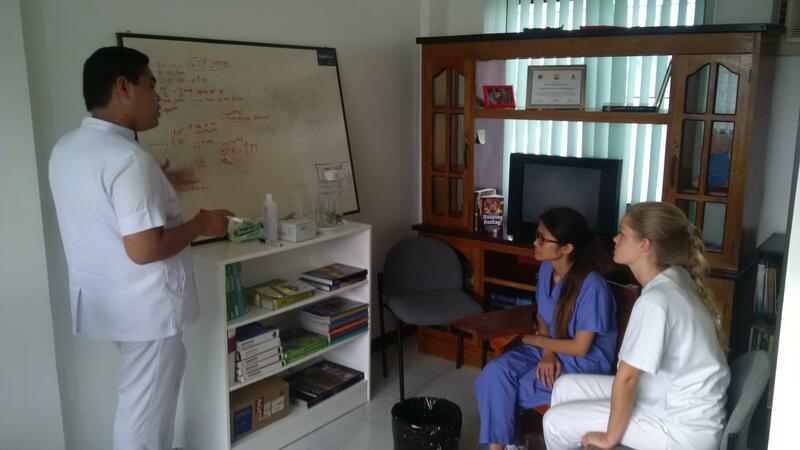 Sometimes there may be the opportunity to take part in educational workshops with the staff. There are also local university students who intern at the rehabilitation centre. This is a great opportunity to share your experiences of studying occupational therapy with fellow students. You can also see how the practice differs between your countries. Where in the Philippines will I work? You’ll be based in the municipality of San Remigio, located in the north west of the island of Cebu. As an intern, you’ll work at a local rehabilitation centre that treats people with disabilities. This centre is the first of its kind in San Remigio, and was set up by a Projects Abroad intern. You will also have the opportunity to conduct home visits, or treat patients at nearby community centres. This is the perfect opportunity to gain occupational therapy work experience while you’re in the Philippines. San Remigio may be small, but it has the longest coastline of any municipality on Cebu Island. It also has all the modern conveniences you might need, including banks, restaurants, and grocery stores. There are also plenty of nearby dive spots, marine sanctuaries, and beach resorts to enjoy in your leisure time. When you arrive at your respective airport, a member of Projects Abroad staff will be there to meet you. You can find more detailed information on arrival airports, orientation, and visas on our Philippines Arrival Procedures page. After waking up in the home of your host family, you’ll enjoy a delicious breakfast to fuel you for the day. It’s then time to travel to work via a motorised tricycle, similar to a rickshaw. On your first day, a staff member will accompany you to show you the way. 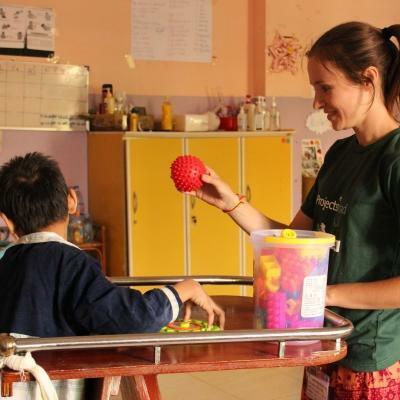 A typical day at your occupational therapy placement in the Philippines runs from 8:30am until 11am and then again from 1:30pm until 4pm, Monday to Friday. You can travel home for lunch, or bring a packed one with you if your host family is too far away. You’ll spend your time at the rehabilitation centre assessing and treating patients with a range of different conditions. You might find yourself working with a stroke patient, helping them to improve mobility of affected limbs. Or you could engage in play therapy with children who have cerebral palsy, in order to develop their fine motor skills. On some days, you’ll conduct house-to-house visits instead, and perform the treatments there. Sometimes you will work with patients to teach them exercises they can do at home to maintain their mobility. Once you’re done for the day, it’s time to sit back and relax. Enjoy your stay in the Philippines, watching the sunset from the beach or enjoying dinner with fellow interns at a local restaurant. We organise regular social events for our interns and volunteers, so you can get to know each other and our local staff. 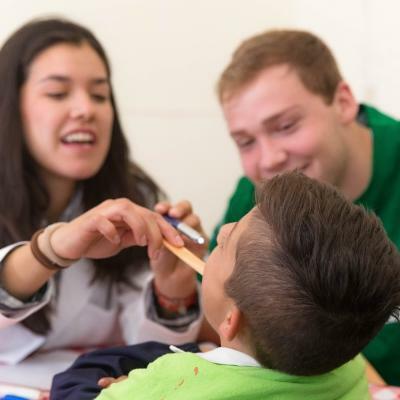 There are two main aims to this project: to provide you with an educational experience while ensuring that people with disabilities receive the specialised treatment that they need. Many of the interns who join us are looking for practical work experience. We facilitate important cross-cultural exchange, where you have the opportunity to learn from qualified local professionals and share knowledge. You’ll gain invaluable insight into healthcare practices in the Philippines, while learning new skills. This internship also has an altruistic aspect. Many people with disabilities in the Philippines are unable to receive treatment, due to high costs or a lack of nearby facilities. This is detrimental to their overall wellbeing. It also has a negative impact on children, as many children with disabilities are unable to attend school. 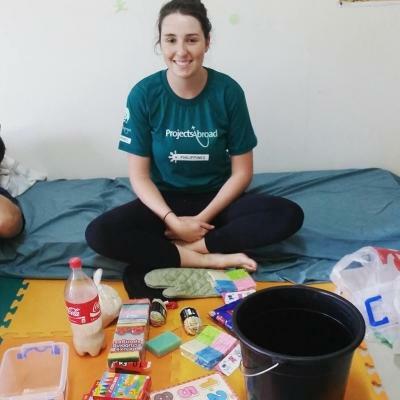 As an intern, you’ll work at a rehabilitation centre that provides free occupational therapy services to those who need it. Only with your help, we will be able to increase the centre’s capacity and treat more people. You’ll work to improve the quality of specialised care for disabled people so that they can lead more independent lives. The community centre where you’ll work was started by a former Projects Abroad intern, in conjunction with the local municipality. This just goes to show the impact that a single person can make. Imagine how much we can do together! Help us achieve these long term goals, as you gain invaluable occupational therapy work experience in the Philippines. 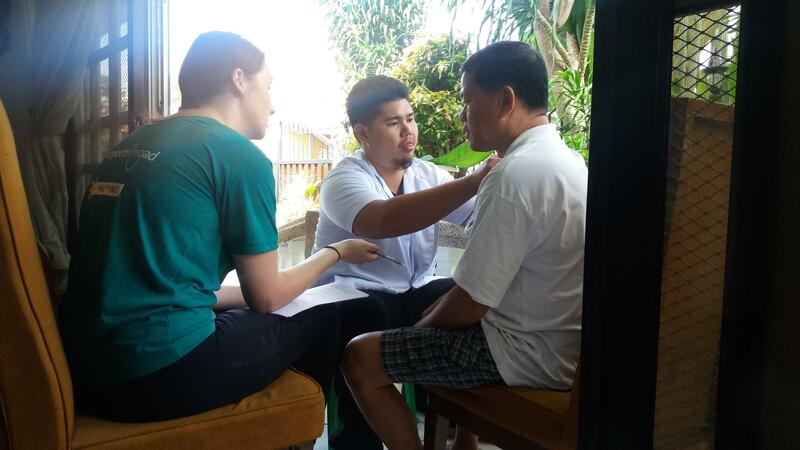 Over the three weeks I was there, I administered OT assessments at the rehab centre and at-home visits to determine the patient’s occupational issues. For many of the stroke patients, I used mirror therapy or constraint induced movement therapy to target their affected upper limb. For many of the young children with cerebral palsy, I used play therapy to develop their upper limb and fine motor skills. You'll stay with a host family in Bogo City. They will welcome you into their home, eager to share their customs and have you teach them about your own culture. We believe that this is the best way to immerse yourself in the culture of the Philippines and have a truly unique experience. The Philippines is made up of over 7,000 islands, so naturally there are some beautiful beaches where you can relax during your free time. However, there are plenty of other activities to keep you busy during your trip. With white-sand beaches come all the exciting activities associated with living close to the sea. 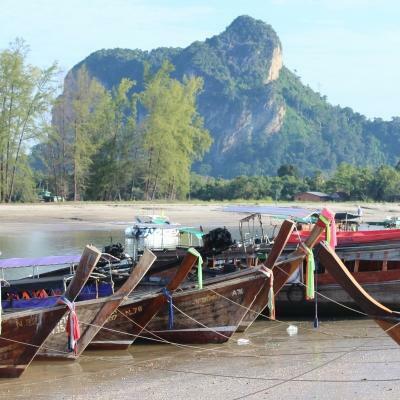 You can go snorkelling through the pristine waters, play volleyball, or relax on the sand as the sun sets. In Cebu City itself, you can explore the traditional Carbon Market. For an insight into the country’s history, you can visit Fort San Pedro and Magellan's Cross. Here, you’ll learn more about the Spanish conquest. 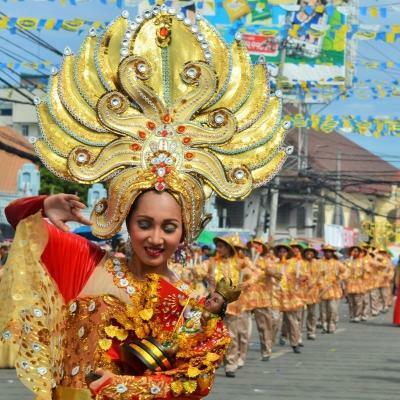 The Spanish influence is also felt in the regular fiestas and street parades held in the Philippines. If you volunteer around the end of January, you’ll even get to experience the Sinulog Festival, a nine day Mardi Gras-style party. With so many volunteers joining us throughout the year, there will likely be other volunteers in the Philippines during your trip. You can connect with them and explore as a group or travel independently if you prefer. 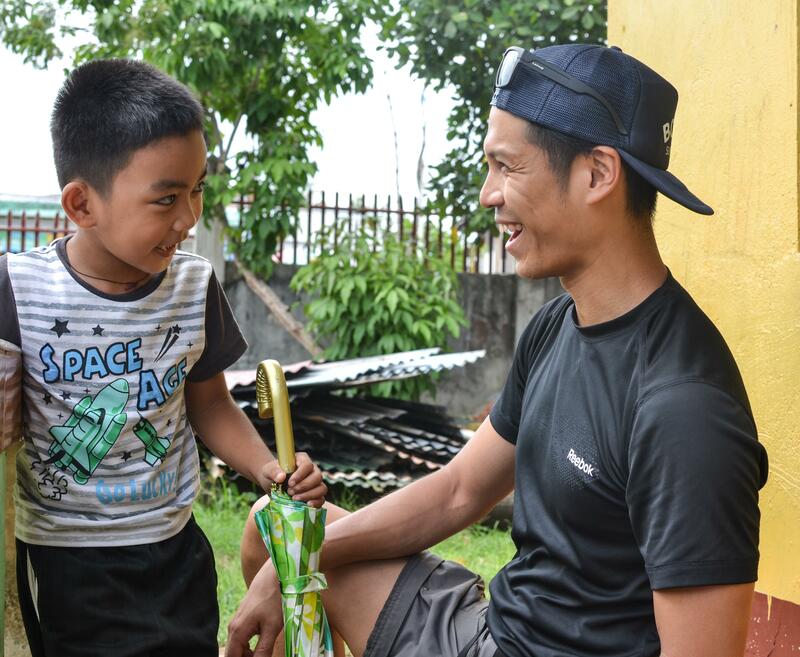 Kenneth is from Cebu and has been involved in development work for 7 years. He has previously volunteered with VSO and was a youth ambassador for the 37th South East Asia Youth Programme in 2010. Before joining Projects Abroad in 2013, he was a managing director of a training centre in Cebu and a project officer for VSO Bahaginan. In his free time he enjoys taking part in Rotary International activities and he likes taking photos and watching movies. 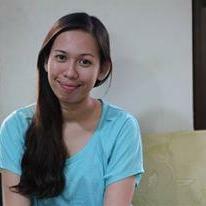 Ayessa was born and raised in Bogo City and has always loved being around people. 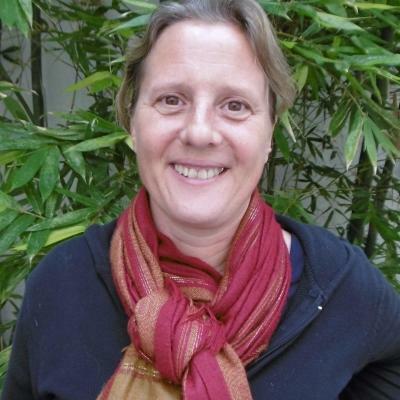 She is a registered nurse and previously worked as an English teacher and coordinator for non-English speakers. Aside from reading pocketbooks, she spends her free time experimenting with foods and eating. Acqui joined Projects Abroad in March 2014. He is passionate about travelling and he has been to Singapore, Malaca and Hong Kong. Acqui finished university with Bachelor’s degree in Science, majoring in Psychology. He is a Rotarian and has volunteered as a tour guide for foreign Rotarians who have visited the Philippines. Acqui is also a history teacher and enjoys teaching the volunteers about the history of the Philippines.